The sky is the limit with a top-hung roof window. 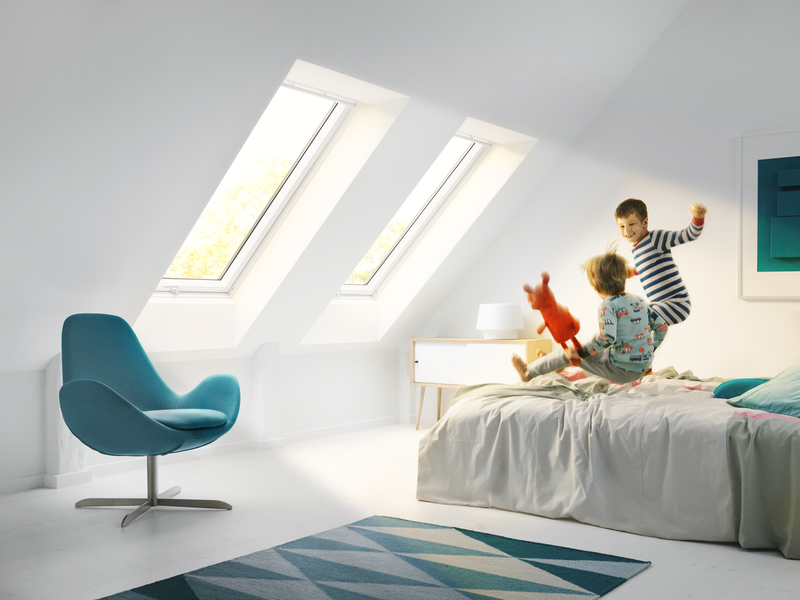 Operated with an elegant handle at the bottom, VELUX top-hung roof windows give you a full, open view of your skyline and maximise the amount of natural daylight that can be allowed in. Top-hung roof windows are the perfect choice for loft conversions with roof windows in easy reach. Suitable for roof pitches between 15° and 55°. Also suitable for pitches between 55° and 75° with special springs - please specify when ordering. 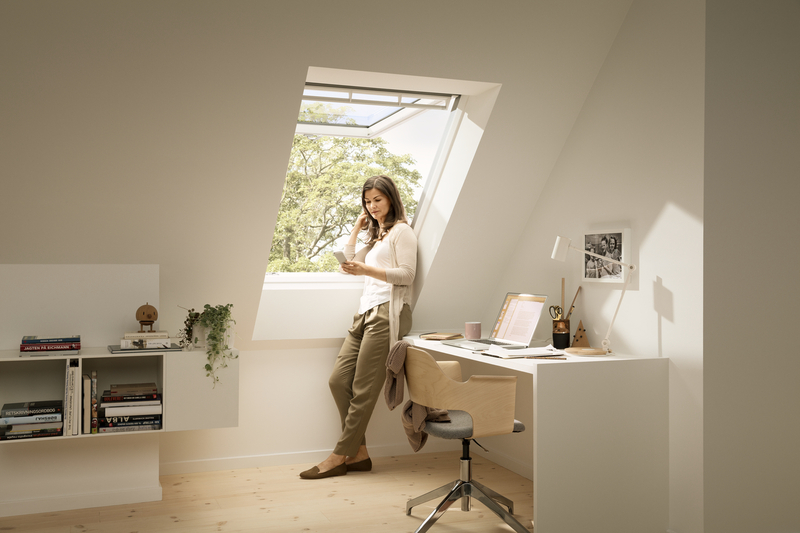 If your roof window is placed out-of-reach or if you want ultimate comfort, a VELUX INTEGRA® roof window is the answer. It comes with a pre-paired wall switch so you can control the window and accessories. You can choose either electric or solar powered roof windows. For solar powered there's no need to plug into a power supply, making installation even quicker and easier. The PV solar cell is placed on the external window frame. If you want to prolong the longevity of your VELUX roof window or simply give it a touch up, this is the place to look. VELUX offers a range of products that will come in handy if you want to replace an air filter, repair a scratch, lubricate hinges, paint your window and give it a new and shiny look. 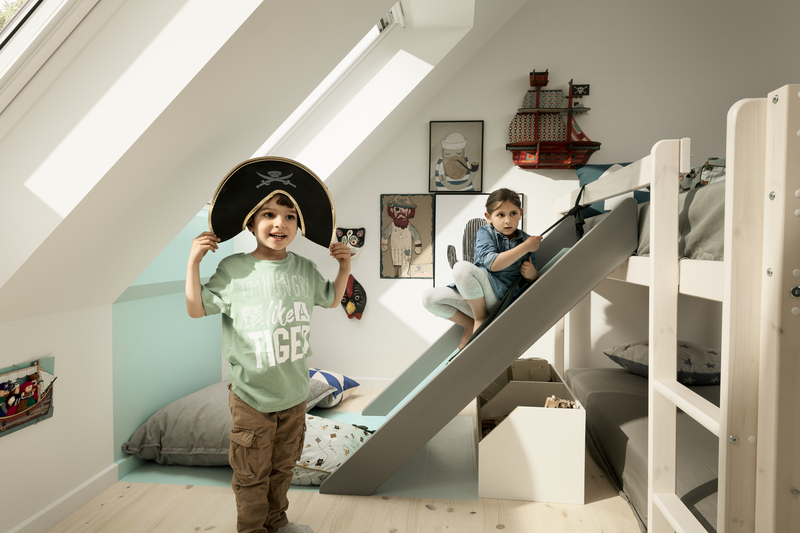 Complete your VELUX roof window with VELUX accessories. There is a blind for every need. Whether you go for the benefits or just for the looks: VELUX offer a wide range of decorative solutions in colours that fit your style. Looking for heat protection? – our range for exterior accessories reduces heat by up to 95%. White painted roof windows are coated with a water-based lacquer and white paint that protects the wood against dirt and moisture. The bright white finish with discreet wood grain is perfect for modern interiors. Pine finish roof windows are coated with a water-based clear lacquer that protects the wood against dirt and moisture. Matches perfectly with traditional interiors. White polyurethane roof windows feature a strong core of thermo-modified wood with a seamless waterproof polyurethane coating. The maintenance-free, bright white finish with no visible joints make them ideal for modern homes. All VELUX roof windows come with grey aluminium exterior covers as standard. You may also select copper, titanium zinc or coloured aluminium. Laminated inner pane plus enhanced sound reduction from rain and hail and easy-to-clean coating. Laminated inner pane and triple glazed unit that offers an excellent level of rain and hail sound reduction. Enhanced energy efficiency and anti-dew coating to eliminate external condensation. Laminated inner pane and triple glazed unit that offers an excellent level of rain and hail sound reduction. Thermal insulation, anti-dew coating to eliminate external condensation. Double glazed, laminated opaque inner pane, toughened outer pane. Convenient bottom handle - the perfect choice for loft conversions with windows in easy reach. Download our interactive eBook and get the daylight just right in your home. Download our interactive eBook and get all the advice you need for bringing light into your space. Pitched or flat roof extension? Download one of our eBooks for advice on the perfect daylight solution for your project. Are you an installer, architect or a dealer? Go to the professional section to find tools and information about sectional drawings, technical details, installation instructions, CE marking, how to become a VELUX certified installer and more. 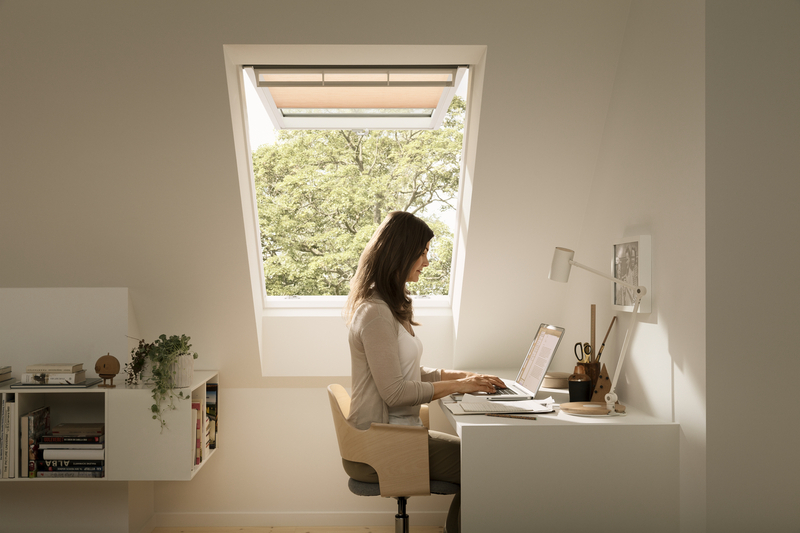 Put fresh air at your fingertips with a centre-pivot VELUX roof window. 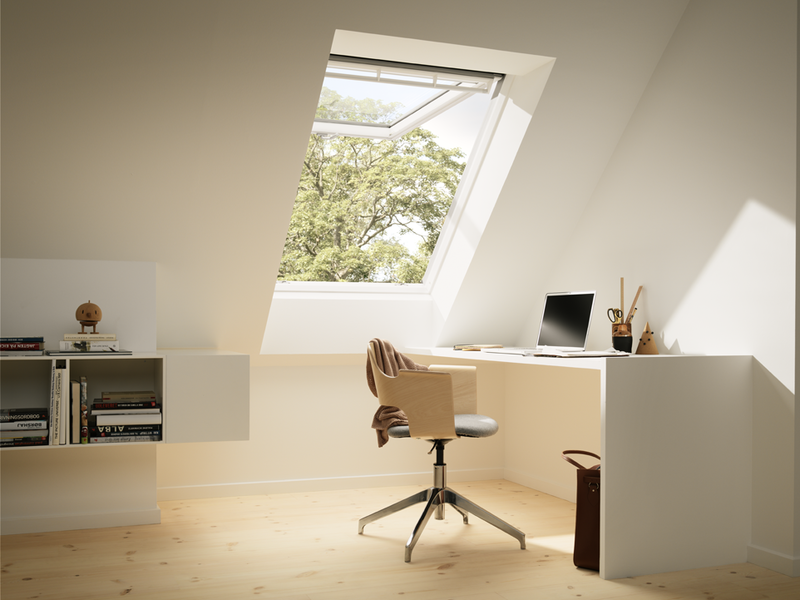 A top-operated roof window is easy to operate - even with furniture beneath. The innovative top control bar allows you to install the window lower than an equivalent bottom-operated window to get an excellent view while standing and when seated. 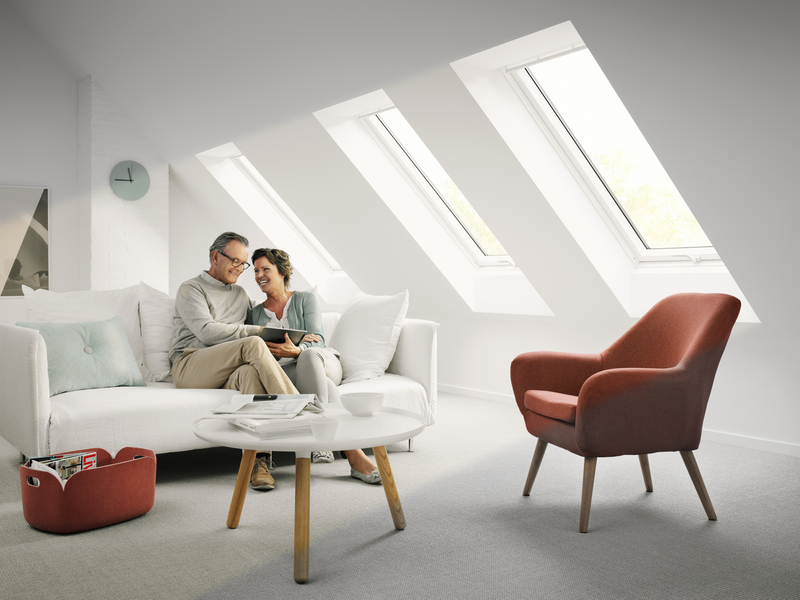 If you want ultimate comfort, VELUX INTEGRA® is the answer. This innovative system of windows, blinds and shutters open and close with just one touch of the pre-paired wall switch.